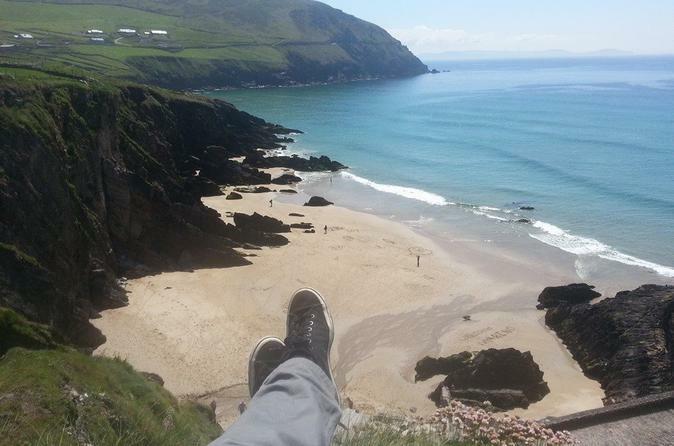 Marvel at the beauty of the Emerald Isle on this adventurous Dingle Peninsula hike from Tralee. Follow a guide along the iconic Wild Atlantic Way and Suiloid na Cille, and enjoy panoramic views over the rugged cliffs and beaches — widely considered the most dramatic scenery in all of Ireland. Stroll along Inch Strand, soak up the atmosphere in the pretty harbor town of Dingle and gain insight into Ireland’s colorful history at Slea Head. Then, perhaps finish your tour in style with some fresh seafood in a cosy local pub.